Buying a home is the most important decision for a majority of people. It is an exhaustive process involving loan application, site inspection, property inspection, myriad regulations, and search for the right locality. It is imperative that people spend so much time in acquiring a roof over their head as this is their biggest expense. One factor that is often overlooked in the frenzy of sleek marketing and flashy advertisements is the option of choosing a ready to move in property. The reason is that there is hardly any advertisement for such properties. However, a little research will go a long way in providing home buyers this choice. Ready to move in property! 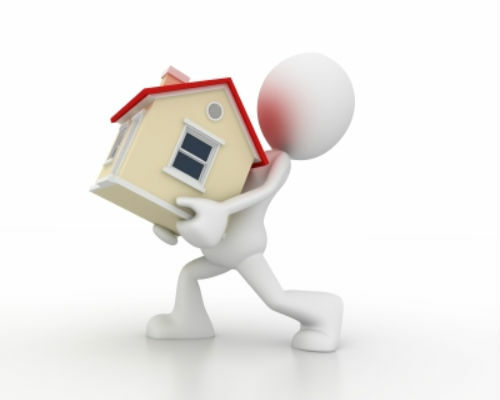 Ready to move in property has become the most opted for choice in recent times out of necessity rather than desire! However, with property prices stagnating, builders delaying the projects and bankers unwilling to give loans to builders, ready to move in properties have become more popular. Let's look at the pros and cons of the ready to move in home. Immediate possession: Ready to move in homes are immediately available for possession. Savings on rent: Savings on rent starts immediately. This is a big incentive for home buyers to buy a ready to move in property. What you see is what you get: This is true in case of ready to move in homes. The home buyer doesn't have to imagine what his home would be like and then get disappointed! The property is already built up and home buyers can see the quality of construction, space available, area surrounding the property, parking space, and all other amenities in the housing society. There are no surprises! Relatively expensive: Ready to move in homes are relatively more expensive. In many cases, the price can by 25%-50% more than under construction apartment. Maintenance concern: Maintenance could be a concern if the earlier owner (if there was one) did not keep the property tidy. While it is true that ready to move in homes are more expensive, home buyers should do their own research and confirm that the price being paid is not exorbitantly high. If you are the second owner, understand why the earlier owner is selling the property. The seller may give you any reason but it is your duty to know the real reason. After all, you are paying premium to buy a ready to move in home. This is the most ideal option that home buyers wish for! Under construction home provides a plethora of choices to home buyers. Builders announce their plan to build a housing complex, give advertisements, invite potential home buyers to visit the site, and let them book the property. Most of the properties are sold even before the construction starts. This helps builders raise money to construct the property. Plenty of choices: Under construction homes are available aplenty. Home buyers can choose the location and there is every possibility that one or more housing complexes are coming up in the area. Moreover, there are choices in prices too. Economical: Under construction homes are relatively cheaper than their ready to move in counterparts. Better returns: Under construction apartments are a better choice for returns. Since the price is lower and the home buyer is the first owner, it commands a higher price once it is completed. Delays: There could be delays in the delivery. This hurts the home buyers both ways. You not only pay the EMI for a longer period but also pay a rent on your existing home! Difference between Photoshop and reality: The nice cars parked in covered parking area, good looking happy family, immaculate garden, kitchen with a small bar, and balcony facing sunrise may not turn out to be true when the possession is taken! Returns depend on several factors: The under construction housing complexes count on the possibility that areas surrounding will develop in future. This may not come true at all. There are cases such as Shamshabaad airport area where the housing prices did not appreciate because no new businesses came up as expected. Check the reputation of the builder before you book an under construction home. This is the most important step. If the builder has bad history, the history will repeat itself. At the same time, check with banks how the loan amounts will be released. This should be completion based and not time based. Finally understand various points when you sign the agreement with builders. Pay more attention to penalty clauses. There is no right and wrong way to choose. Your choice of buying a home must consider your affordability, funds available, and the timeline you have in mind. If you have enough funds and you can wait for some time, the best option will be to go for an under construction home from a reputed builder with a good past record. If you have funds available but not sure about future cash flow, you should look for a ready to move in home as they provide immediate delivery. You not only get the tax advantage on your loan but also save on rent! By BankBazaar.com - an online marketplace for your personal loan and home loan needs.